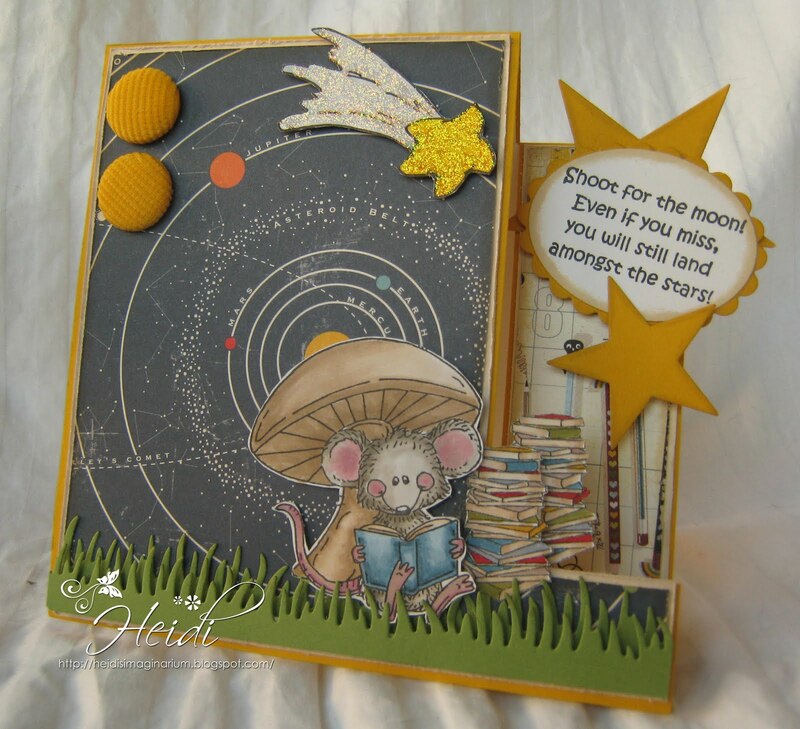 Heidi's Imaginarium: High Hopes Challenge! Happy Tuesday Blog Land! I have some exciting news to share. I have been asked to be a guest on the High Hopes Diva Design Team for September, October and November. My best friend from University introduced me to Stampin' Up and stamping almost 4 years ago. Through the wonders of the internet and wurfing (my new word for surfing the internet), I discovered High Hopes Stamps. My first purchases were from the Noah's Ark collection! The very first few challenges I ever participated in were High Hopes. Countless challenges (and a ton more money spent) here I am a Guest Diva! Yippeeeeeeeeeeeeeeeeeeeeeeeeeeeeeeeeeeeeee!!!! I used Mushroom Mouse. It's one of the High Hopes MelJen Stamps, which are on being featured in the first new High Hopes Monthly Special. All of the MelJen Designs will be on sale for the Month of September! I made a modified Zig Zag card. Here is the Zig Zag card Tutorial by Kristine. I guess technically my card is a Zig card! My Little Mouse is reading one of his Astrophysics books! Be sure to check out the High Hopes Blog and the other Diva's Blogs! Heidi, this is so cute! I love the theme of the card! And your coloring is perfect! We're so glad to have you on the team!! I am really very Impressed after seen this picture as you presented above. It is very Interesting to see it. I really enjoyed to watch it. It is full of greenery. Wonderful card and such a cute image. Congrats on the GuestDiva spot for September.